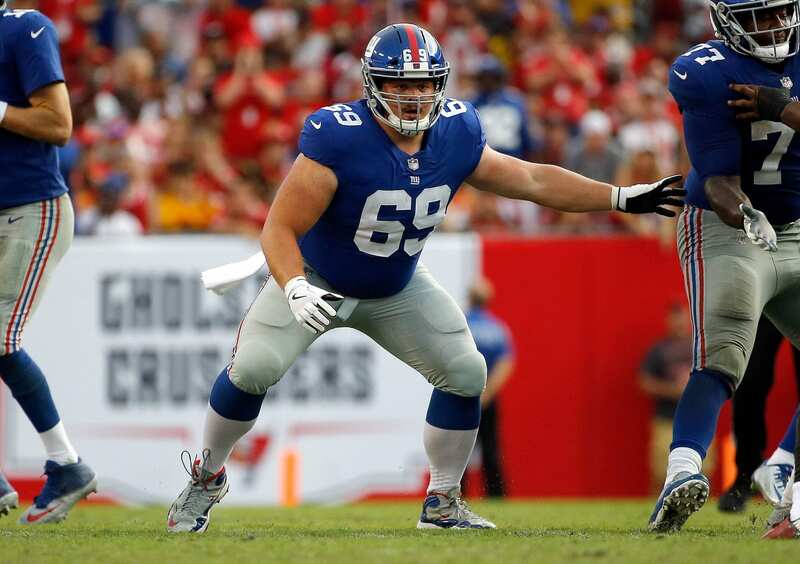 Another position battle looks to be over, and of the New York Giants centers, Brett Jones is the one that will leave town. According to Ian Rapoport, Jones will head to Minnesota and the Giants will receive a seventh round pick in return. Jones had been a member of the Giants team since 2015, but heading into this season, Jon Halapio emerged as the starter at the center position. Rather than keeping Jones on the roster to sit on the bench, the Giants will add another late round draft pick to move him to the Vikings. The trade is just the latest part of the team’s offensive line shakeup, as Jones was a 13 game starter last year and wasn’t a player that most fans predicted to be off the team entirely before the 2018 season could begin. While his career in New York is coming to a close, it’s interesting to note that the odds were stacked against Jones to even make it to this point. A Canadian, he played his college football in the CIS rather than the NCAA. He went on to become a second round draft pick in the CFL, making the jump to the United States and the New York Giants after winning the Most Outstanding Offensive Lineman Award while playing in Canada. Jon Halapio, meanwhile, is finally getting his chance after playing the early part of his career as a journeyman. Halapio has made stops in New England, Denver, and Arizona, playing two separate stints with the Patriots. Additionally, Halapio played for two teams in the Fall Experimental Football League during his career. After starting his Giants career as a practice squad member, though, he’s played his way to earning a new contract that came back in March. It’s an interesting series of events for both players, who have been underdogs for most of their careers. With Jones having a better chance at getting playing time in Minnesota, it looks like both players might come out ahead in this deal. 7th round pick for highest graded lineman on the team, and likely now a starter for the vikes…. a 7th is the best we could get? a bit weak if you ask me.